I don't know about you, but I feel as though I am SURROUNDED by sickness. It is just that time of year when stuffy noses occur and sinuses are all a mess. It can be easy to raid the medicine cabinet and take a swig of some nasty dyed cold and flu medicine (I know I have). However, we should prepare our bodies for those icky cold and flu germs by adding some great immune boosters to our diet and supplements! Here are a few things that I do to boost up my body and maybe there is something here for you too! ElderBerry - boost immune system function, protect against bacteria and infection, slow down the spread of cancer, moderate the digestive process, prevent the development of diabetes, reduce the pain and speed associated with autoimmune diseases, help with weight loss, lower blood pressure, and alleviate allergies (via). Echinacea -stimulates the overall activity of the cells responsible for fighting all kinds of infection. It is a great way to combat cold and flu. Both of these can be taken in supplement form which is what I prefer. But I've also seen these offered in liquid and even lozenges form. This may seem hard to find but it really isn't. My favorite is Maty's which you can find in many major retailers. I know I can find some right around the corner at my local CVS! Woot Woot! It is FINALLY cool enough here in Florida to drink tea and not sweat while drinking. I drink tea when I can. Mostly Chamomile and Roobius which both have great benefits for immune boosting. Find the type of tea you like, see if its great to fend off those colds, and drink up! I don't really diffuse as often as I should anymore. However, I've been trying to do it more often just to get some good oils floating through the air. Use essential oils such as Cinnamon, Clove, Eucalyptus, Lavender, Lemon, Sweet Orange and Thyme. My personal favorites are Sweet Orange and Lavender! 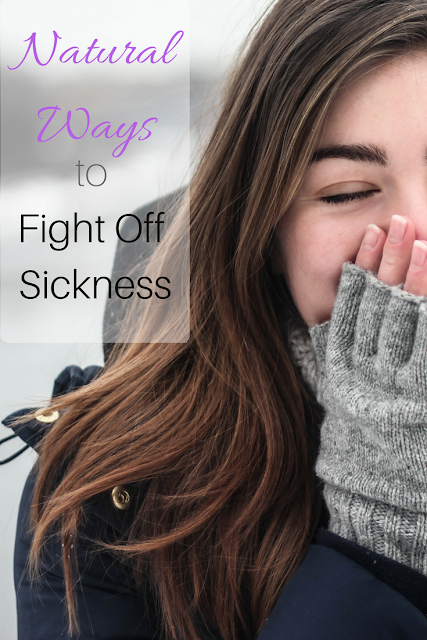 Do you have any great tips for fighting germs this cold and flu season!? Great post. I'm doing just about all of these right now.. the cold has already gotten me.